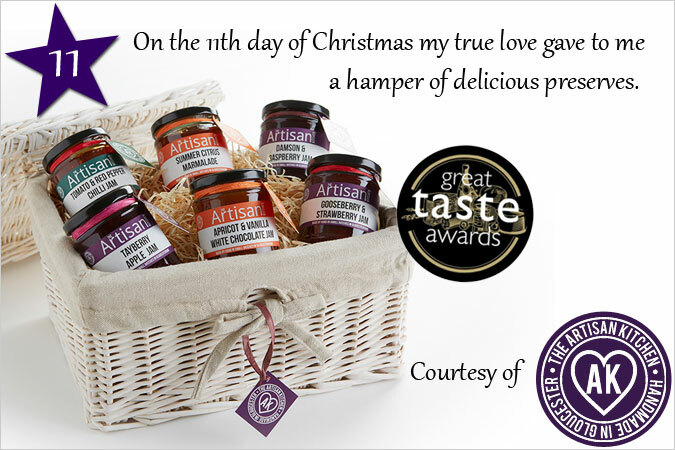 Enter today’s 12 days of Christmas competition to be in with the chance of winning a delightful wicker hamper, containing six seasonal preserves and recipe cards, from Artisan Kitchen. This scrumptious prize, worth £35, will see you through the winter, and you adore the award-winning delights. Artisan Kitchen are passionate about pickles, they cheer about chutneys, are mad about marmalade and go silly over spreads. They use the very best natural ingredients of the highest quality to produce jams and chutneys that look incredible, smell divine and taste sublime.